CHICAGO (WLS) -- The family of a missing scholar at the University of Illinois is heading home Monday without their daughter. It's been more than four months since Yingying Zhang disappeared at the University of Illinois. Zhang's family came here after she vanished, hoping she'd be found alive. She hasn't. Now, they head back to China with heavy hearts. "Dead or alive, we just want to find her and bring her home," said Xiaolin Hou, the victim's boyfriend.. Visiting Chinese scholar Zhang missed a bus for an appointment on June 9. Police said video shows another student, Brendt Christensen picking her up. That was the last time anyone saw her. After an investigation, 28-year-old Christensen was charged with kidnapping resulting in death along with two counts of lying to the FBI. He pleaded not guilty and remains behind bars. Zhang's family and friends say they are frustrated Zhang has not been found. Zhang's father said through a translator that they were very disappointed they could not bring their daughter home. They have no choice now but to head back home to China. Zhang's mother's health is failing, and the expenses are piling up for them here in America. The family says this does not mean they are giving up on the fight to find her. 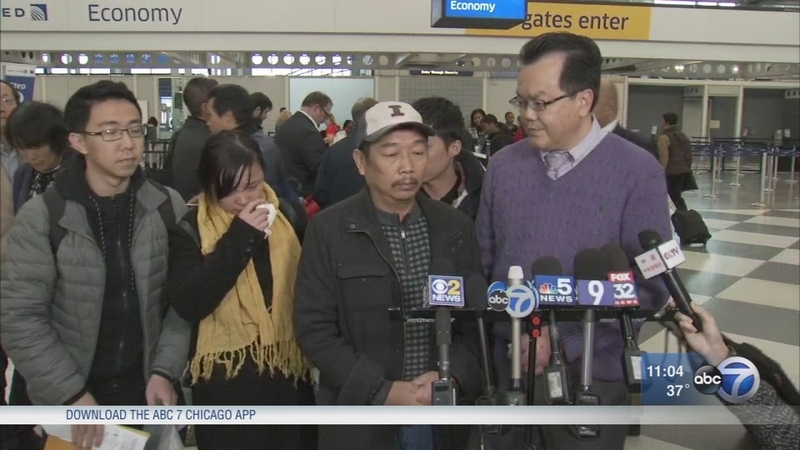 "It's a very hard decision to leave actually without Ying," said said Xiaolin Hou. Now, the family heads back to China and try and live a life without their daughter. The family assures they will be back if anything breaks in this case, and for the start of Christensen's trial. They say they will never give up hope of finding her.